In the early years of the eleventh century, the Greek Princess Anna Comnena was playing a game which she fondly called Zatrikion with her sister Maria in the imperial palace of Constantinople. She recalled her father playing the game at night with some his kinsfolk to dispel the cares arising from the affairs of the state. While it may have not occurred to others, Anna, being a historian herself, sought to explore the history of the brilliant game. Her discovery, which she makes amply clear in her work Alexiad based on her father Alexius Comnenus- the Emporer of Constantinople’s life, led her to believe that her game Zetrikion was in fact brought into Greece by the Arabians. Little did Anna know that the game was not invented by the Arabians, but was introduced to them by the Persians. But, it wasn’t even the Persians who invented it in the first place. The game was brought into Persia from the Indians in the time of the Great Chosroes who lived in the 6th century. The story ultimately boils down to this- it was the Indians who invented the Chaturanga or the chess as we know today, which spread from the Indians to the Persians to the Arabians to the Greeks and then across Europe. However, another question remains a mystery to this day- who was the person who invented the game which was known in India by the Sanskrit word Chaturanga? Was it the wife of Ravana, king of Ceylon, to amuse him with an image of war, while his metropolis was besieged by Rama in the second age of the world? Or was it Sage Vyasa and Gotama who taught Yuidhistira, the eldest of the Pandavas, the rules of the game in the Mahabharata? Or was it devised by Subandhu in his book Vasavadatta, the love story of Princess Vasavadatta (daugher of King Pradyota) of Ujjaini with King Udayana of Vatsa? Or was it Sissa, the Indian Brahmin in the reign of King Balhait who invented it on the behest of his ruler? There are many Chaturanga legends and you may choose to believe whichever you wish. However, one truth remains- the modern day brilliant game of chess spread profoundly throughout the world was nothing but the product of a brilliant and wise ancient Indian, way before anyone could even conceive the concept of such a game. Join in and write your own page! It's easy to do. How? 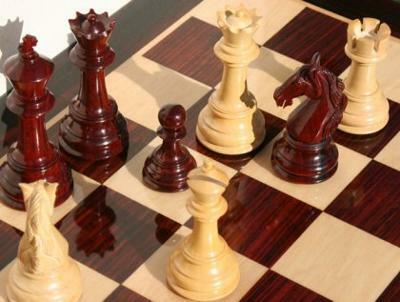 Simply click here to return to Chaturanga - Birth of Chess.